The Mumbai that is seen as the next shanghai has been facing a lot of changes to actually come at par with the requirements to actually turn into a state of art city. The real estate Mumbai news has in the past years that the World Bank is keen on having Mumbai government adopt the FSI Policy like New York. The growing city is a victim of old and obsolete laws that is known to be obstructing the development of the infrastructure of the place. FSI (Floor Space Index) is the ratio between the total floor areas of a building to the size of the whole location. The FSI generally is talked about in terms of the limitation that it puts in the form of such ratio. The FSI at Nariman Point is 3.45 and generally 2.66 everywhere in the city; the suburbs have the FSI of 1. Current real estate Mumbai shows that the FSI is increased drastically for police residents, municipal plots and few other such locations showing a development pattern and support of the state government in the process. Mumbai is increasing in population each quarter and most of them are here to stay creating a further increase in the current problem of housing. Mumbai is in dire need of high FSI, but the current situation and the infrastructure show that FSI is a distant dream. But higher FSI is not a solution alone, higher FSI needs to be complemented along with the infrastructure which does not seem to be possible in current Mumbai situation. The quality of life must be improved to have an increased FSI and also the increase cannot be as per the current suggestion. The need is of a gradual FSI increase so that support is provided to the FSI and people get the results and are not left houseless. 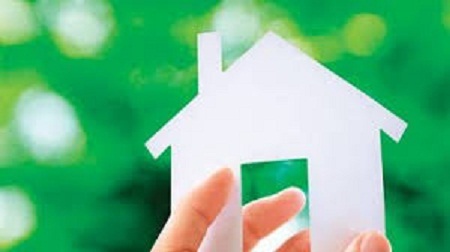 Mumbai has high property value the need is to plan things properly so that probably new development plans may work according to newly suggested FSI allowing the development to enhance. Mumbai real estate is creative and the city has been facing the space problem since long. It is now the right time for the development of Suburbs allowing newer establishments that could provide Mumbai the needed housing solutions. Mumbai has the purchasing power, but the sky-rocketing prices and the quality of housing throw the buyers away. Mumbai needs to focus on these problems first. Be the first to comment on "Impact of Mumbai FSI Increase on the Development"